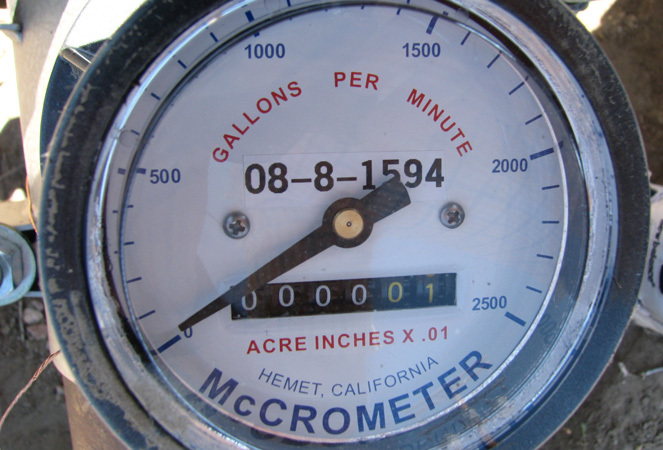 A water meter is a crucial part of the installation of a subsurface drip irrigation system, and it keeps accurate real time records of water use. The most recent California state average for water usage on alfalfa fields is 5.0 acre feet per acre according to the Congressional Research Service. The audited results for The Alfalfa Project using the Precision Alfalfa Management program for the years 2015 and 2016, covering some 1,100 acres, and 1,430 acres in 2017 of independently owned alfalfa fields, verified that the average water applied to an acre of alfalfa utilizing the Precision Alfalfa Management program was 2.37 acre feet. This means that cumulatively for 2015, 2016 and 2017 a total of 3,110,886,912 gallons of water has been saved. When growing alfalfa, each Grower’s results may differ due to variables that include location, availability of water sources, soil nutrient levels, financial limitations, and weather. The California state average yield for alfalfa in 2015 was 6.9 tons according to the California Department of Food and Agriculture (CDFA). The audited results for The Alfalfa Project using the Precision Alfalfa Management program for the years 2015 and 2016, covering some 1,100 acres, and 1,430 acres in 2017 of independently owned alfalfa fields, was an average of 12.77 tons. This means that cumulatively for 2015, 2016 and 2017, The Alfalfa Project has increased production of 21,308 tons of alfalfa. According to the USDA, the quality of alfalfa is determined by multiple guidelines including Crude Protein (CP) and Total Digestible Nutrients (TDN) percentage. 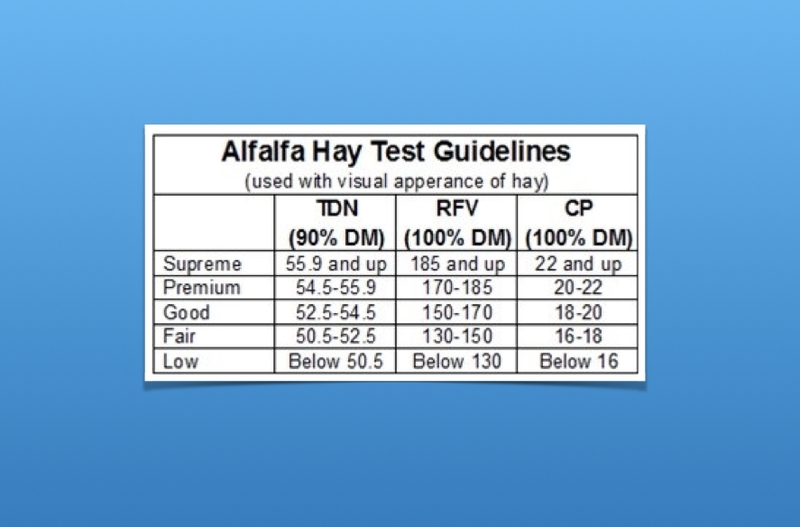 These metrics for alfalfa are measured on a 90% dry basis and has varying levels of quality. The audited results for The Alfalfa Project using the Precision Alfalfa program during the years 2015 and 2016 showed an average Total Digestive Nutrients percentage of alfalfa was 53.82% and the average Crude Protein percentage of alfalfa was 21.42% based on confirmable quality tests. While there is no state average for alfalfa quality, the farmers using the PAM Program attested to improved alfalfa quality, especially during the hot summer months.